Marlin Brando wore it. So did James Dean. 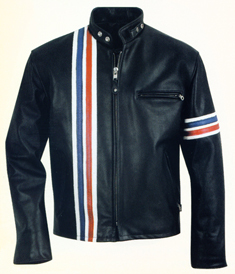 While fashion changes seem to happen almost weekly, Schott's distinctively American spin on style has always been on top. For nearly twelve decades, the Schott family has continued to capture the attitude of the young and young at heart. As dynamic as fashion itself, Schott continues to win new converts, never straying from it's belief in the importance of high quality and American made craftsmanship. 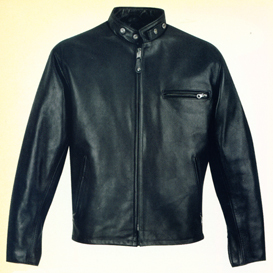 Schott naked cowhide: With a great hand, A soft feel on a substantial leather. 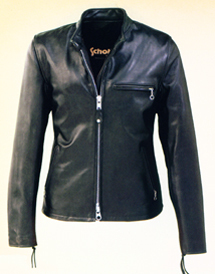 Schott's naked cowhide comes from the best select leathers. Naked cowhide will have a luster but not so much shine as the heavy steerhide. 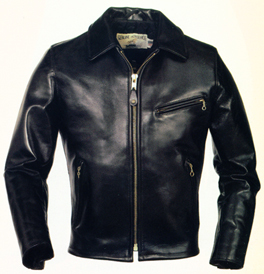 Schott heavy steerhide: One of the most protective leathers available. Breaks into your body's shape naturally, as you wear the garment. 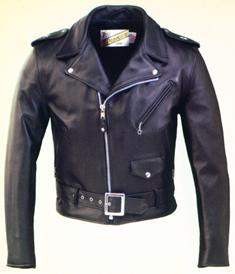 Schott's steerhide come from the best select leather. 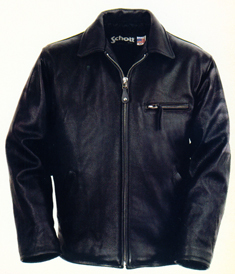 Schott horsehide: One of the most protective leathers available. Just a little stiff when you first get it. Breaks into your body's shape naturally, as you wear the garment. 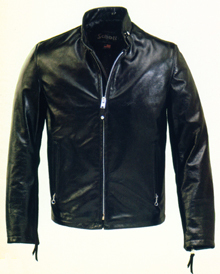 Schott's steerhide come from the best select leather. Schott fits True. Measure your waist, or chest, and the chest is the size needed for a comfortably tapered fit. Go a size larger for oversizing. If waist is larger than chest, call us! Schott coats fit well with the liners in or out! Coats are sized for men and women. Chaps are unisex, pants are cut in a man's fit. Ya can't argue with the thousands of satisfied owners. Real tough guy coat. Very fitted. Ya gotta break this one in like grandpa did. this coat! We just think it looks cool! So NO selling online! Call us Today to see how we can Make your Leather Dreams come true. 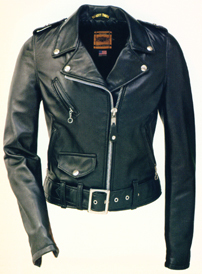 Mention "Schott Leather Dreams" for your Best Value in American leathers. ...Besides, we need to talk to you about fit selection anyway. 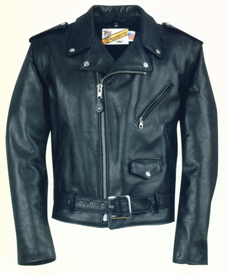 Cultured Cowboy has been selling Schott products for over 30 years. Our services make the difference. this coat! We just think it looks cool! So "Clean" lookin, it'll do for any occasions. Gals gotta look good too. Same comfy feel! CHP looks. Yer worth an investment in you! Ya gotta know: Schott is your best value. Not-Schott chaps, vests, boots or bags. This makes Cultured Cowboy really HAPPY! Seems there are other Internet people who might have "not done well" for their customers. And ya don't have to say a word. Just wear it & heads will turn! Cultured Cowboy will include a shipping & handling allowance with each Schott purchase. SEND US a usable Email pic & testimony: Get a 10% discount on your next pr of boots.